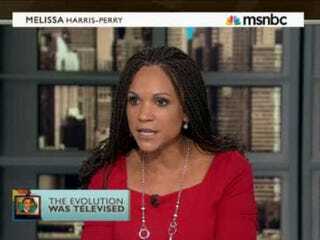 Following President Barack Obama's endorsement of gay marriage this week, on MSNBC Melissa Harris-Perry tackled the financial aspect of the issue. Her roundtable of guests — including the Washington Post's Jonathan Capehart, MSNBC contributor Joy-Ann Reid, former George H.W. Bush aide Joe Watkins and Why Marriage Matters author Evan Wolfson — discussed the evolution of Obama's views on gay marriage and the effect of his announcement on campaign fundraising, especially on gay and lesbian donors. As it does with heterosexual couples, marriage equality would allow gays to participate in tax breaks reserved for married people.